In just three years, Fitzcarraldo Editions have published remarkably intelligent books on everything from orientalism to football. Crucially, in our Trump/Brexit state of the world, they seem to have made it their mission to translate artists who are lauded in their home countries but aren’t that well-known elsewhere. Take Olga Tokarczuk: a Polish household name, author of eight novels and two short story collections, translated in a dozen languages, recipient of numerous awards. I felt stupid for not having heard of her before. Fitzcarraldo’s signed up for two of her works, Flights and The Books of Jacob – and when you read Flights, you understand why. It’s a brilliant, experimental tour de force, a book of fragments. 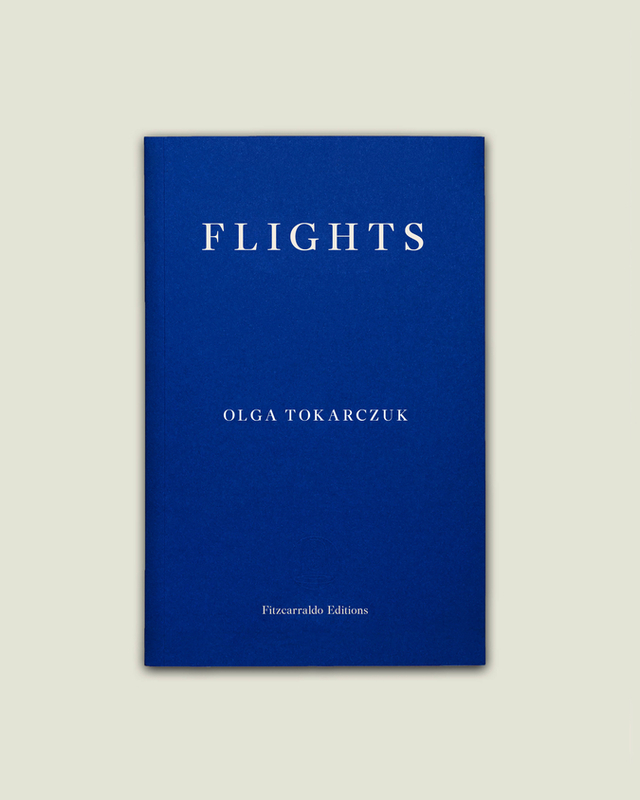 Tokarczuk calls Flights her ‘constellation novel’ of orphic yet meticulous narratives that traverse time and space. She’s known in Poland for her mythical prose style, and Jennifer Croft, to her immense credit, has beautifully translated this quality into English: Flights is filled with liquid, mellifluous prose. Some of these fragments are musings by an unnamed narrator. Others are short stories, others still are fictionalized events: Chopin’s heart really was carved from his body and buried separately in Warsaw, a courtier named Angelo Soliman really was skinned and displayed in Austria (this book will take you to Atlas Obscura). What’s really great about these fictionalized events, by the way, is that they are usually all recounted by women who are effaced from history: ‘Chopin’s Heart’ by the pianist’s eldest sister, Ludwika, Soliman’s plight by Josefin, his daughter, the fate of Frederik Ruysch’s collection by his unnamed daughter, assistant and anatomist in her own right. Fragments – as form, as style – were used by romantics and modernists as an exemplar of the broken and divided self. Here the self is not just divided, it is continuously remade through the act of travelling (yes, even travelling throughout the book. Flights gets even more meta, bear with me). The fragment as form is the book’s narrative structure, and it’s where the book gets so much of its energy and brilliance. In Essayism, Brian Dillon writes that ‘the deliberate writer of fragments behaves differently, in fact fusses constantly about the correct composition or constellation – this despite (or is it because of?) the opposite tendency of fragmentary writing towards looseness and informality.’ Tokarczuk is such a writer. These are not fragments to be mindlessly consumed: you’re supposed to take them in and think. Everything has been crafted for you to do so – even the fact that there is no contents page in the printed edition. Each story is juxtaposed to prepare the reader for the next fragment to come, in order for them to read it properly. More often than not, an instructive ‘I’ comes before each story. This is why, at the start of Flights, you’re immersed into the narrator’s gaze, way of seeing and of being, plunged into that heady traveller’s solipsism, in the mood of her lines and their rippling rhythm: ‘There’s no one else here; they’ve left, they’re gone, though you can still hear their voices dying down, that shuffling, the echoes of their footsteps, some distant laughter.’ From within that space, you are ready to understand the stories as they unfold and the meanings they contain – kind of like the way you learn a foreign alphabet, then you move on to comprehension exercises. 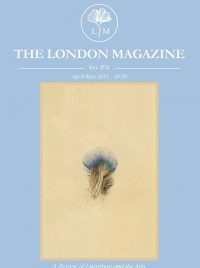 Before you are introduced to the first story, ‘Water’, the Heraclitean ‘I’ talks about change, movement, travelling in relation to life, death and the river Oder (where she saw many drowned bodies): ‘a thing in motion will always be better than a thing at rest;’ ‘change will always be a nobler thing than permanence; that that which is static will degenerate and decay, turn to ash, while that which is in motion is able to last for all eternity.’ ‘Water’ is in fact the story of a man who loses his family on the island of Vis: whether they are drowned or have left him, it isn’t clear. The plot and (lack of) resolution isn’t important: what’s crucial is that you’ve been prepped by these filaments of thought to see that the lessons the ‘I’ takes and imparts from the river are precisely those that Kunicki does not (or doesn’t want to) learn: unable to accept that his wife and child have left him, unable to move on, he goes mad. ‘Water’ is also special, for it is one of the few – perhaps the only – story where the narrator doesn’t intrude in any way. Usually, in all these short stories, the third-person omniscient narrator you took for granted suddenly appears in her ‘I’. The story that you thought was stand-alone is in fact part of the whole. It’s as if the entirety of Flights was told to you by that same ‘I’, the voice of your travel companion on a plane trip to wherever. Flights isn’t your typical traveller’s journal: there are some details about places the narrator’s visited, but not much. It’s more of a journey inwards: what happens to ourselves when we travel, what kind of relationship we have to our memories, bodies and objects. It’s a book on how we negotiate this being; flight versus its opposite, stasis. This negotiation informs many of the book’s stories, the most beautiful of which is ‘Flights’. Annushka’s your typical devoted housewife, caring for her son who’s seriously ill, trapped in a loveless marriage with an ex-soldier suffering from PTSD, living in a bleak, soviet apartment – this is depression and all its trimmings. Once a week, when her mother-in-law comes to take care of the child, she runs errands in town. This time, she runs away, from the paralyzing, wrenching inertia of her life, except that she doesn’t know where to go once she’s flown. She travels in circles in the metro for days on end, homeless. Stasis and flight are why, I think, so much of the book is devoted to the body and its preservation after death. They are two modes of thinking: for characters like Dr. Blau, engaged in the cult of the body, flight, decomposition and time must absolutely be rejected (you can think of him as a cosmetic surgeon who’s had too much work done on himself). He worships stasis. For the very real Frederik Ryusch, however, the preserved body is a form of vanitas mundi, or ‘vanity of the world’ (these were allegorical displays of life and death common in his epoch). His vanitas aimed to beautifully evoke flight itself, the brevity of life. This is where Flights gets meta. Ryusch appears time and time again as a figure of awe, for he concocted the Stygian liquid of bodily preservation never known to this day: his techniques and a part of his collection were destroyed when they were bought by Peter the Great. Ryusch famously gave a narrative to each of his specimens, adorning a child’s head, say, with a lace cuff (if this grosses you out, wait until you find out why his collection didn’t arrive in one piece). Ryusch’s fragments of life could be a comment on Flights, for isn’t the book a kind of vanitas mundi in itself? Think about it. The paper book is an object of stasis, since it will outlive us; its contents, however, offer us a kind of meditation on brevity, movement.